Yahoo team finally released a preview version of Yahoo! 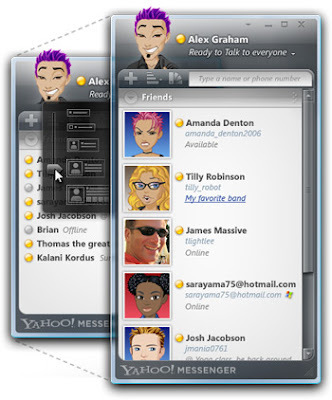 Messenger for Windows Vista. This is a preview version only (pre-beta) so not everything is in here that you might be used to seeing in other versions of Yahoo! Messenger.